The classic map-reduce pattern which many companies use to process and analyze Big Data also runs on the Hadoop cluster. The idea of Hadoop is simple, to leverage a network of computers to process a huge amount of data by distributing them to each node and later combining individual output to produce the result. Though MapReduce is one of the most popular Hadoop features, Hadoop ecosystem is much more than that. You have HDFS, Yarn, Pig, Hive, Kafka, HBase, Spark, Knox, Ranger, Ambari, Zookeeper and many other Big Data technologies. Btw, why Hadoop? Why you should learn Hadoop? Well, it is one of the most popular skills in the IT industry today. The average salary for Big Data developer in the US is around $112,00 per annum which goes up to an average of $160,000 in San Fransisco as per Indeed. There are also a lot of exciting and rewarding opportunity exists in Big Data world and these courses will help you to understand those technologies and improve your understanding of the overall Hadoop ecosystem. 1. The Ultimate Hands-On Hadoop Course - Tame your Big Data! This is a seriously the ultimate course on learning Hadoop and other Big Data technologies as it covers Hadoop, MapReduce, HDFS, Spark, Hive, Pig, HBase, MongoDB, Cassandra, Flume etc. In this course, you will learn to design distributed systems that manage a huge amount of data using Hadoop and related technology. You will not only learn how to use Pig and Spark to create scripts to process data on the Hadoop cluster but also how to analyze non-relational data using HBase, Cassandra, and MongoDB. It will also teach you how to choose an appropriate data storage technology for your application and how to publish data to your Hadoop cluster using high speed messaging solutions like Apache Kafka, Sqoop, and Flume. You will also learn about analyzing relation data using Hive and MySQL and query data interactively using Drill, Phoenix, and Presto. In total, it covers over 25 technologies to provide you with complete knowledge of Big Data space. Processing billions of records are not easy, you need to have a deep understanding of distributed computing and underlying architecture to keep things under control and if you are using Hadoop to do that job then this course will teach you all the things you need to know. As the name suggests, the course focuses on building blocks of Hadoop framework e.g. 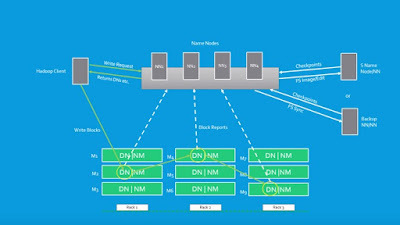 HDFS for storage, MapReduce for processing and YARN for cluster management. In this course first, you will learn about Hadoop architecture and then do some hands-on work by setting up a pseudo-distributed Hadoop environment. You will submit and monitor task in that environment and slowly learn how to make configuration choices for stability, optimization, and scheduling of your distributed system. At the end of this course, you should have complete knowledge of how Hadoop works and its individual building blocks like HDFS, MapReduce and YARN. If you don't what is Hive let me give you a brief overview. Apache Hive is a data warehouse project build on top of Apache Hadoop for providing data summarization, query, and analysis. 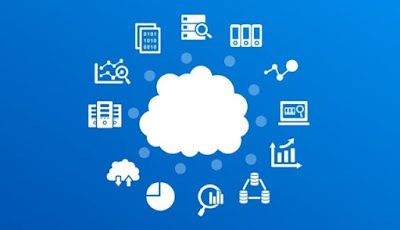 It provides a SQL-like interface to query data stored in the various database and file systems that integrate with Hadoop and NoSQL database like HBase and Cassandra. 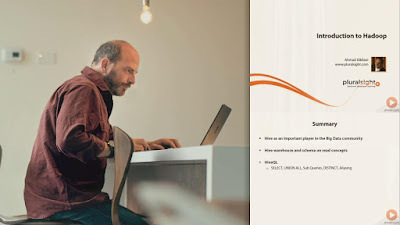 The course starts with explaining key Apache Hadoop concepts like distributed computing, MapReduce and then goes into great detail into Apache Hive. The course presents some real-world challenges to demonstrate how Hive make that task easier to accomplish. In short, a good course to learn how to use Hive query language to find the solution of common Big Data Problems. 4. Big Data and Hadoop for Beginners - with Hands-on! If you are a beginner and wants to learn everything about Hadoop and related technology then this is the perfect course for you. In this course, instructor Andalib Ansari will teach you the complex architecture of Hadoop and its various components like MapReduce, YARN, Hive and Pig for analyzing big data sets. You will not only understand what is the purpose of Hadoop and how it works but also how to install Hadoop on your machine and learn to write your own code in Hive and Pig to process a huge amount of data. Apart from basic stuff, you will also learn advanced concepts like designing your own data pipeline using Pig and Hive. The course also gives you an opportunity to practice with Big Data Sets. It is also one of the most popular Hadoop course on Udemy with over 24,805 students already enrolled and over 1000 ranges at an average of 4.2. This is another greate course to learn Big Data from Udemy. In this course instructor, Edward Viaene will teach you how to process Big Data using batch. The course is very hands-on but comes with the right amount of theory. IT contains more than 6 hours of lectures to teach you everything you need to know about Hadoop. You will also learn how to install and configure Hortonworks Data Platform or HDP. It provides demons which you can try out on your machine by setting up a Hadoop cluster on the virtual machine. Though, you need 8GB or more RAM for that. Overall, a good course for anyone who is interested in how Big Data works, and what technologies are involved with some hands-on experience. That's all about some of the best courses to learn Hadoop and related technology like Hive, HDFS, MapReduce, YARAN, Pig etc. 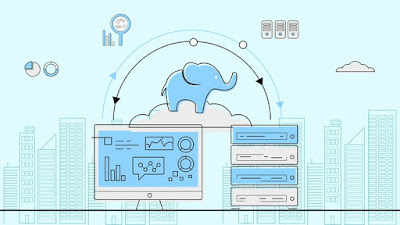 Hadoop is one of the most popular frameworks in Big Data space and a good knowledge of Hadoop will go a long way in boosting your career prospects, especially if you are interested in Big Data, a key skill for future along with Machine Learning and Artificial Intelligence. Thanks for reading this article so far. If you like these Hadoop courses then please share with your friends and colleagues. If you have any questions or feedback then please drop a note. P. S. - If you are looking for some free courses to start your Big Data and Hadoop journey then you can also check out this list of free BigData, Hadoop, and Spark Courses for programmers.